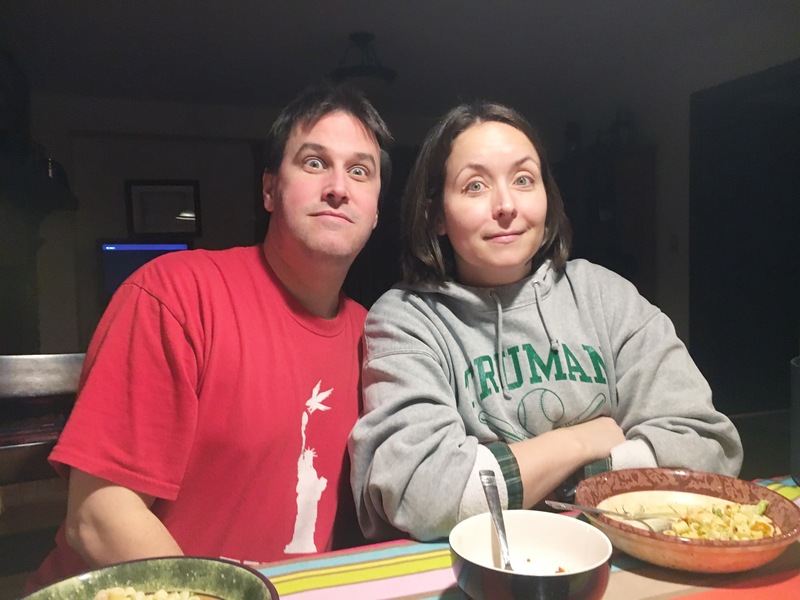 Day 21 – What’s for dinner? The first few years of Cadence’s life, meal times were easy. The kid would eat anything. ANYTHING. Well, except for the six short months she loathed bananas to the point where she would start gagging if she even saw one. Other than that, we had no issues getting Cadence to eat (or at least sample) anything we put in front of her. And that lasted right up until she started going to preschool regularly and learned that there was such a thing as being picky and eating only peanut butter sandwiches and assorted snacks. Henry, on the other hand, would survive on nothing but pancakes and plain pasta (flavored with a little butter and garlic salt) if let him. Meal times have been a battle since he started solids, and I have to admit, for awhile there we just got lazy. With work and life and everything else being crazy and hectic, we picked the 3-4 foods he would actually at and just went with it, figuring it was better for him to get something in his stomach before we put him in bed. But we decided recently that we’d had enough. We were tired of the constant meal time meltdowns, and by God we weren’t going to let a 3-year-old beat us in what was becoming a sheer battle of wills. So, we started cracking down on snacks, limiting Henry’s milk intake to just a cup or two a day (because he would polish off a gallon by himself if given the opportunity), and putting the kids to bed if they protested the meal we put on the table. Cadence was pretty easy to fall back in line. It took exactly two dinner time battles when she was a toddler to convince her that our rule of at least trying one bite of everything before you get to say you don’t like it was fair. With Henry, we definitely hit the double digits in the number of times he got sent to bed with his plate still full of dinner and then having to eat the leftovers the next day. He is our stubborn, stubborn boy. But like everything with Henry, it just takes a little extra patience. And we’re finally starting to get there. Tonight, he didn’t even protest. He came right to the table when it was time, sat down, and dug in. He at the entire serving of chicken and pasta and broccoli, headed upstairs for a bath, and then polished off two bananas and a cup of strawberry yogurt before bed. 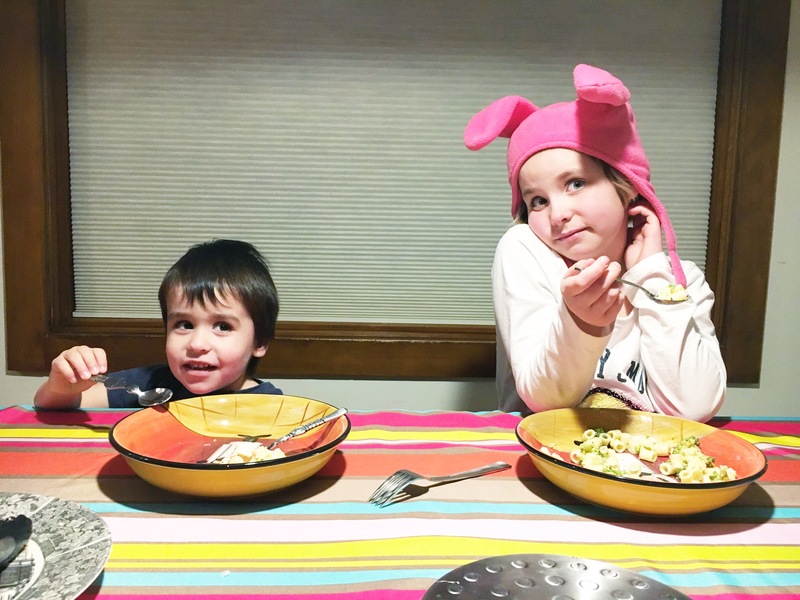 And there was a moment at dinner tonight, listening to Cadence tell us about the sleepover last night at her friend Rowan’s house and Henry quoting lines from Bob’s Burgers (“You’re my family and I love you, but you’re terrible. You’re all terrible.”) and Superbad (“One name? Who are you, Seal?”), I found myself blissfully happy to be sitting at the table with three of my favorite humans on the planet. What can I say? Life is good.